Halo-never again, not for me. Halo 3's ending won't be the last we see of Bungie's iconic character. 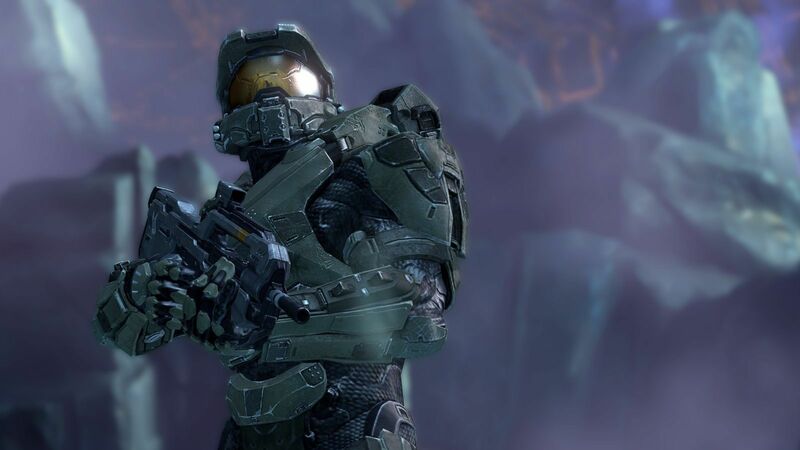 Bungie has said it won't be ending Master Chief's storyline with Halo 3. Bungie promises that it will 'follow through' with the Master Chief story following Halo 3, even though they won't feature their iconic character in the forthcoming Halo: Reach. "At the end of Halo 3, and cover your ears if you haven't played it, Master Chief is in cryosleep," explains Bungie's Frankie O'Connor to G4TV. "Cortana has sent a rescue signal, and they are orbiting a strange world. We'd have to be the world's biggest assholes to not follow through on his story." Bye-bye, Spartan codpiece! We will all miss you. I had not noticed that, but now when I watch the trailer it's all I can see. Freeballing FTW! 343 Industries has revealed the first details on Halo 4, due out in 2012 on the Xbox 360. The next three Halo games, designed to take players on a decade-long journey, are collectively called the "Reclaimer Trilogy", a panel of 343 staff told an audience at Halo Fest this evening. The planet both Master Chief and Cortana are seen heading towards at the end of Halo 3 when completed on the Legendary difficulty, and at the end of the Halo 4 E3 2011 trailer, is a "very mysterious" Forerunner planet on which we will see a "different aspect" of the alien architecture than we've seen in previous games. "We're investing heavily in the look and feel of Forerunner," senior art director Kenneth Scott said. "The thing that connected people initially way back in the first Halo experience is that mystery. That's where a lot of our pressure on the art team is going right now. We want the player to feel that initial experience of discovery. "You've lived with the Forerunner for 10 years now, and three, four games. What do we do to move it forwards so it still connects the player with a mystery but it hasn't fallen into the abstraction that will happen over that period of time? There's a lot of push there." "You've lived with inert, static Forerunner abandoned structures," franchise development director Frank O'Connor said. "It's going to be really interesting to see a different aspect of Forerunner engineering and Forerunner architecture when it's not completely inert and dead and empty." 200 or so people are working on Halo 4, indeed have been doing so for a couple of years now. Staff from 25-30 different game studios are represented at 343. "It plays like Halo," creative director Josh Holmes said. "It sounds simple but that was really important to us. As a team we were brought together by this love for this universe and this play experience, and we wanted to maintain the core of that magical Halo feel. "But at the same time, it was important for us to have the courage to take risks and evolve the gameplay feel so it is fresh and different. It's this constant question of balance for us we've wrestled with since the beginning as a team. How do we maintain both what is the core of Halo, making sure it feels like Halo, while at the same time adding new weapons, new abilities, new experiences you've never had before in a Halo game? "But at its core it does feel very much like Halo. It was important to us to maintain that commitment to the sandbox nature of Halo gameplay, making sure we're empowering players to make choices in how they approach each problem instead of giving them only one solution. That was one of the things we held at the core of everything we did." While the panel refused to go in depth on Halo 4's story, it did offer some tentative details. The game will explore Master Chief's character and personality in greater depth - although it does not touch on his origin. "It is a direct continuation in a way of the events of Halo 3," O'Connor confirmed. "I'll clarify one thing from the interwebs. The 2554 year model would have shipped at the end of 2552. So you're not getting any chronology clues from the new [Wart]Hog [shown in Forza 4]. But it will deal with the fate of John and Cortana. There's a lot of speculation about Cortana's mind state. There's a lot of relationship between those two characters. Character is something we're focusing on very strongly this time. "Halo to me has always been about enigma and exploration and wonderment and scale. You've already seen a little bit of the artwork, and it gives the sense of incredible grandeur and scope. To me the story has that scope and that grandeur, too. Having three years to think about the story and plan it, and to commit to a trilogy right from the start, is a luxury even Bungie didn't have with Halo 1. "We know we have a loyal fanbase and we know we have a community that's going to enjoy Halo games, so we're able to build a big, epic story with lots of wonder and explanation." Cortana plays "an important role" in Halo 4. "This is John's story," Holmes said, "but when you look at the two characters who are at the centre of this universe and their relationship and how important that's been to Halo over the first 10 years, it's something we really wanted to explore as a team." Another aspect of the game discussed was multiplayer. 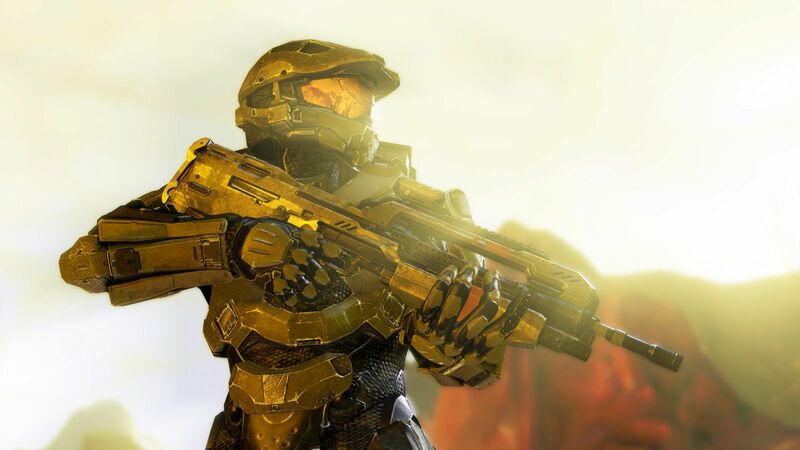 Will Halo 4 cater to the competitive player or the casual player? "You look at the Halo community, it's such a diverse community," Holmes said. "There are so many different perspectives people bring to the experience. It was really important to us as a team to try to represent all of those perspectives and play styles and make sure we're striking the right balance between them and giving different players a different experience depending on what they're looking for." Meanwhile, Scott confirmed the divisive design of Master Chief shown in the Halo 4 trailer was not final. "The Chief you saw in the teaser is not the final Chief. We understand how important Chief is to this universe and the people who play him. We're probably on iteration number four right now. There's a lot of love and investment in making sure he's the best he can possibly be. "The focus for him specifically was wanting the player to feel like him, sell that fantasy of, I'm a bio-engineered superhero wearing 800 pounds of tank and jet fighter. Hopefully once we cross the finish line and you are playing it, that will read to you." Microsoft announced three Halo games at E3. Why? "It was important for us to signal to the fans and the community what our intentions were, our commitment to this story we want to tell," Holmes explained. "When we first started working on laying the plans for the Reclaimer trilogy a little over two years ago, we knew exactly the story we wanted to tell. "A lot of what this trilogy is going to focus on is exploring the character of Master Chief and what it means to bring him back, and really getting a little bit closer to that character than we've ever experienced before in any of the past games. There's a lot of depth to John that exists primarily in a lot of the other fiction we felt we wanted to explore more deeply and lay a journey for him that would transform and evolve him as a character and a man." Other interesting tidbits from the session included confirmation that access to the Halo 4 beta will not be included in the upcoming Halo: Combat Evolved HD remake. Modding looks like it will not be supported, given Halo is "primarily a console game at this point in its lifespan". But 343 is talking internally about opening up previous games in the franchise to the community. On weapons and vehicles, Holmes said: "You're going to see things in this game that are both familiar and new. We do look across the entire trilogy of games as we look at the past sandbox that has existed. You will see things that are familiar from past games but also things that are new." "When you're building a sequel to a game you have to add things, evolve things and change things up," O'Connor added. "One thing that's important about the Halo universe is it's a really big universe, and you've seen a palette of things. As we think about things we're adding to the game, we're looking not just to the past or investing in future stuff, we're saying, what other stuff would the UNSC use? What other stuff does humanity have access to? "A tricky particular for Halo 4 is it takes place post the discovery of Forerunner technology. So we've been beaten back and beaten back and beaten back by the Covenant and haven't had the time or the luxury to invest in research. Well, Karen Traviss' novel Glasslands is going to touch on how the human race, when it's not being rocked back on its heels, is actually a fairly formidable force. Given time and given the scientific curiosity we have as a species, all of this stuff is going to be really interesting in terms of how we can advance our technology. But the UNSC stuff will still be gritty and war-like and very human. But there's lots more to come." On co-op: "Co-op is a big part of the Halo experience and something we think about throughout the crafting of our campaign," Holmes said. "As our mission designers are building the campaign experience it's always top of mind." And Halo's Forge feature will return. "Forge has been an engine for the community to create and share amazing creations, and it's something as a studio we believe very, very strongly in. We are continuing to invest and developing that toolset. Definitely that's going to be something that's a big part of what we do in Halo 4." I've probably played through the campaign in Halo 3 more so than any other 360 game. The story makes absolutely no sense, no matter how many times I've played it. Which is a shame since the Halo universe is full of great lore. Same buddy, i ended up buying my stepson(but all rights book belongs to me) the Halo encyclopedia, it was really interesting. If you could find yourself a copy at a reasonable price, i think i paid 69.99aud. Shows some multiplayer spaces, and hints at the storyline including saying there's reasons why Red spartan IV's would fight Blue spartan IV's.